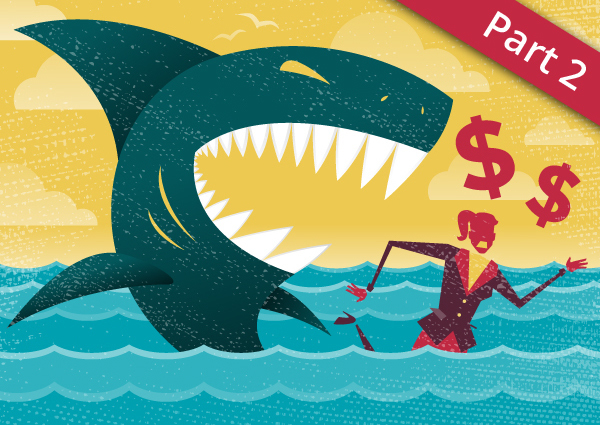 In the first installment of Vanquishing the Money-Eating Monster, we looked at the costs of a bad hire and your first line of defense—a carefully executed recruitment strategy. Over the years, I’ve often heard people talk about “going with their gut” to arrive at a final candidate for a job. But when it comes to hiring the right person, the only thing you should count on your gut to tell you is when it’s time for lunch. Otherwise, there’s a good chance you’ll end up with someone you really like who’s just all wrong for the job. Using objective data from a low-effort assessment tool can turn a subjective and inefficient hiring process into a more accurate and productive one. Plus, incorporating assessments into your recruitment procedures can save you time and energy, especially if you regularly have lots of positions to fill and resumes to wade through. Dig deeper into the job. First we run an analysis of the job to identify the behaviors and hard-wired traits that will make a person successful in the role. These traits get incorporated into the job description, which is now more effective in recruiting the right people. Understand each candidate’s underlying attributes and motivators. We evaluate each candidate to find out what innate characteristics and instinctive behaviors they exhibit, and use that information to develop what we call a predictive index, or PI. Objectively compare candidates with the job requirements. When we combine the job analysis and the candidates’ PIs, you get a clear, objective picture of who’s going to be a good fit for the position. You can quickly and easily recognize whether you’re attracting the right pool of candidates from your recruitment sources and ensure you won’t inadvertently pass over a good candidate in the screening process. The job analysis and a candidate’s PI can be integrated to automatically generate interview questions designed to reveal how a candidate operates, giving you greater insight into a potential hire. Use your data-driven power to entice your top choice and put her/him on the path to productivity. The PI accurately identifies motivating factors to help you make your top choice an offer that aligns with their needs and wins them over. Knowing your new hire and their learning preferences will help you create a strategy to welcome the new person based on their innate needs. Whatever the data assessment tool you choose, be sure to check that it’s free from bias and EEOC compliant! Want to learn more about how MEA can help you incorporate data into your hiring process? Or want the whole mess of HR considerations completely off your plate?